In recent years, micro combined cooling, heating and power generation (mCCHP) systems have attracted much attention in the energy demand side sector. The input energy of a mCCHP system is natural gas, while the outputs include heating, cooling and electricity energy. The mCCHP system is deemed as a possible solution for households with multiple energy demands. Given this background, a mCCHP based comprehensive energy solution for households is proposed in this paper. 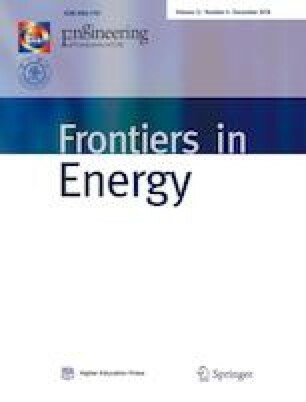 First, the mathematical model of a home energy hub (HEH) is presented to describe the inputs, outputs, conversion and consumption process of multiple energies in households. Then, electrical loads and thermal demands are classified and modeled in detail, and the coordination and complementation between electricity and natural gas are studied. Afterwards, the concept of thermal comfort is introduced and a robust optimization model for HEH is developed considering electricity price uncertainties. Finally, a household using a mCCHP as the energy conversion device is studied. The simulation results show that the comprehensive energy solution proposed in this work can realize multiple kinds of energy supplies for households with the minimized total energy cost. This work is jointly supported by the National Natural Science Foundation of China (Grant No. 51477151), and National Key Research and Development Program of China (Basic Research Class) (No. 2017YFB0903000).